What is it about the English countryside that captures your heart and never lets go? There’s something about those little stone cottages dotting the rolling hills of the country with sheep baying in the background. Didn’t we all fall in love with the cozy little house featured in the movie, “Holiday” with Cameron Diaz, Jude Law, Kate Winslet, and Jack Black. 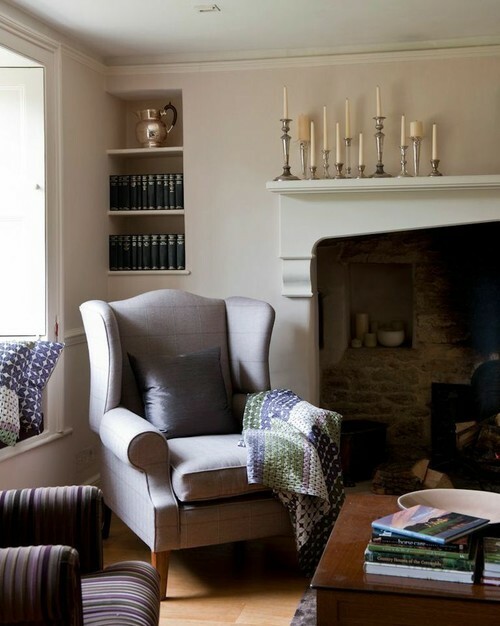 I think you’ll find today’s Cotswolds Cottage by absolute abode design just as endearing. 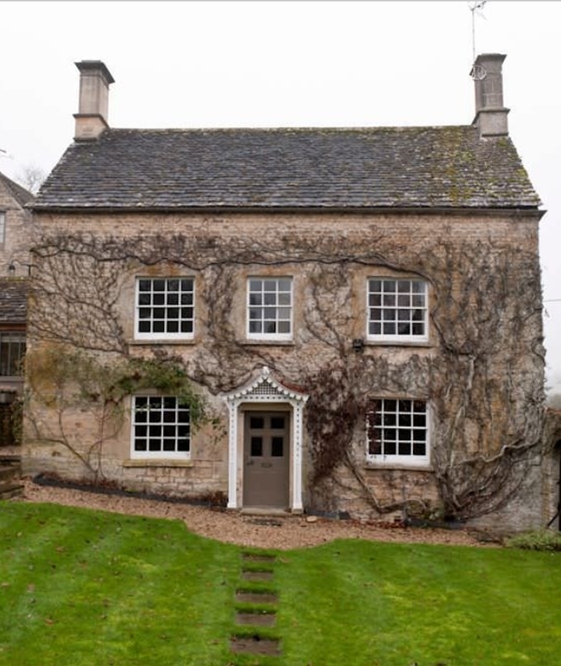 The English cottage has organic appeal. A brick-lined fireplace creates texture and warmth while silver candlesticks lend a slight air of elegance. 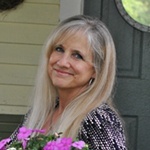 A classic wing chair provides a cozy seat (every home should have a wing chair, in my opinion!). Built-in shelving provides a convenient spot for beverages and glasses, creating a makeshift bar of sorts. A pretty loveseat beckons you to relax and unwind with your favorite beverage. Gorgeous architectural details like the box window lend interest to every room. 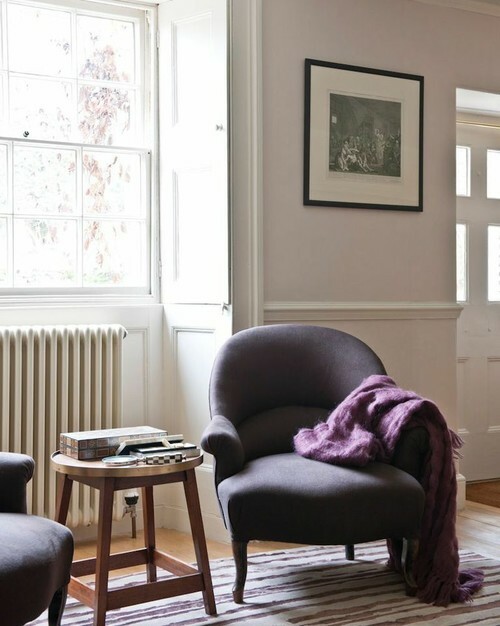 A cute little chair creates a cozy reading nook. 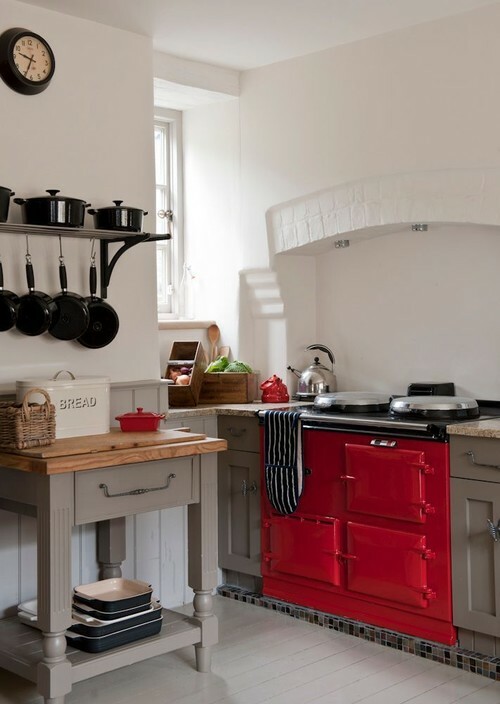 In the Cotswolds Cottage kitchen, a fun red stove adds festive appeal to an English country style kitchen. 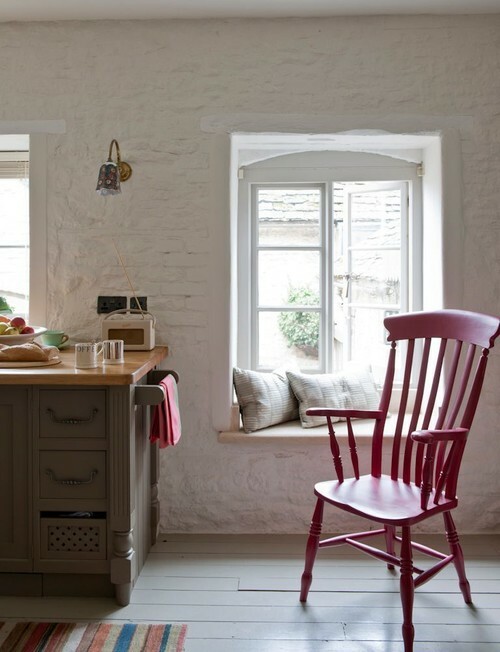 A red chair at the opposite end of the kitchen repeats the appeal of color. Charming window seats built into the painted brick wall add a charm all their own. 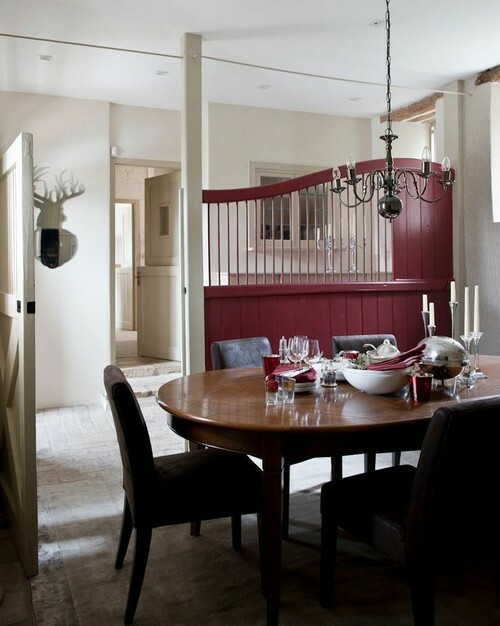 A nearby dining nook enjoys a classic chandelier, with a brush of the same red color on a dividing wall. 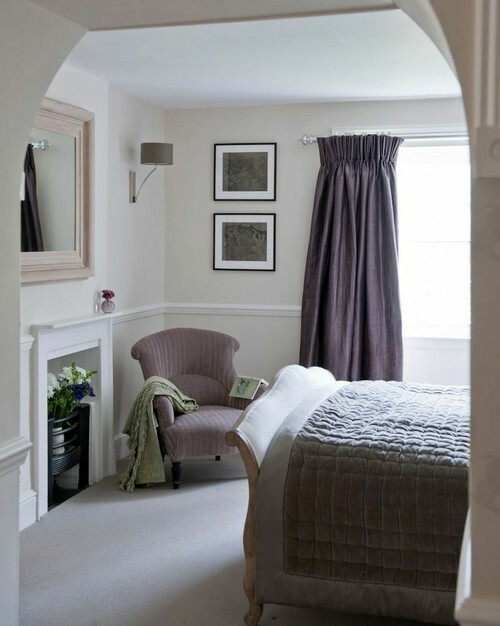 You’ll find pretty little chairs throughout this adorable English home, even in the bedrooms. 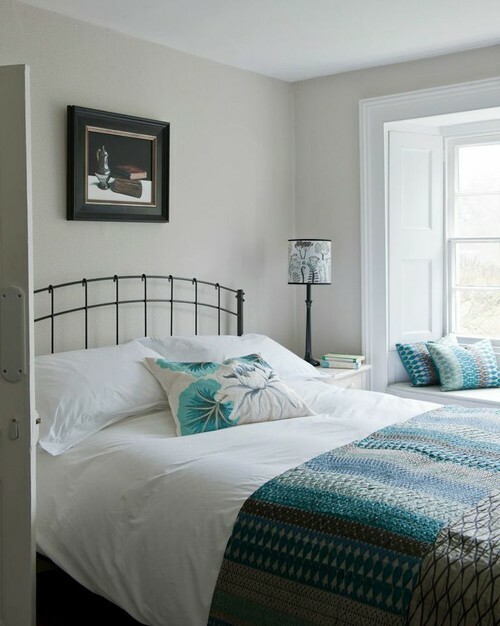 An iron bed takes center stage in one of the cozy bedrooms with another deep-set window. 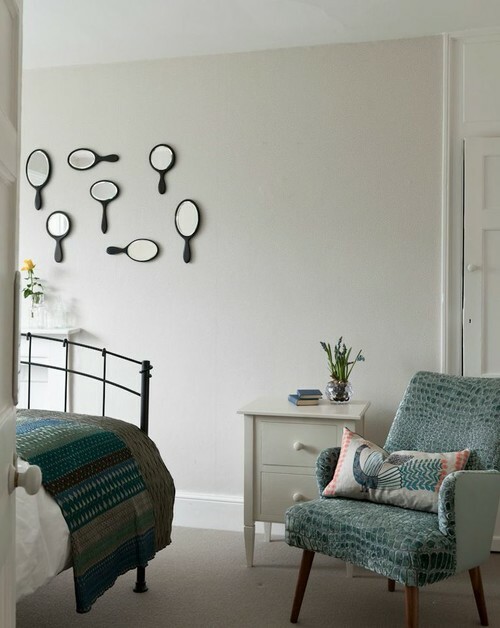 A whimsical vintage hand mirror display adorns the opposite wall. 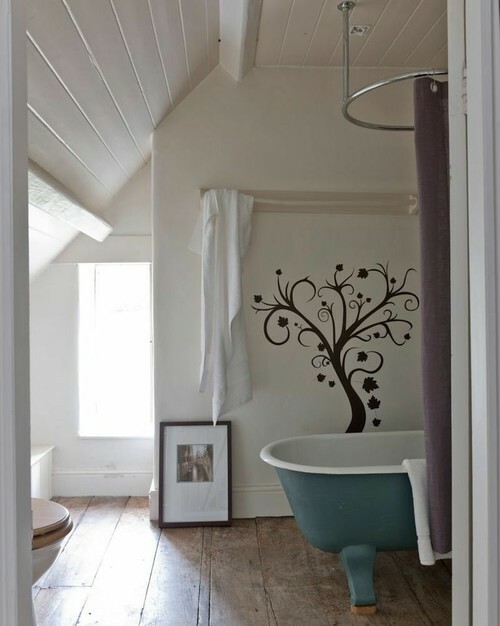 A classic claw foot tub painted blue is the focal point of the charming bathroom, complete with a painted tree on the wall. 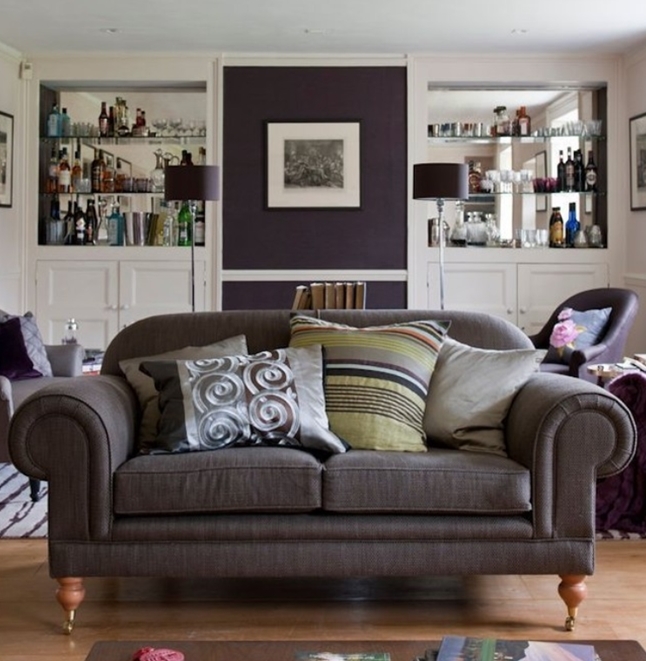 You can see more of today’s charming Cotswolds Cottage on Houzz. 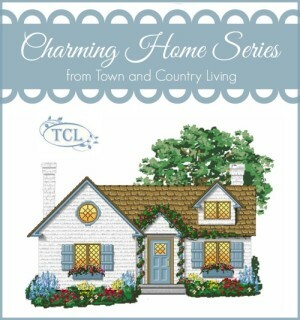 I love the “Holiday” cottage too! This was cute as well. 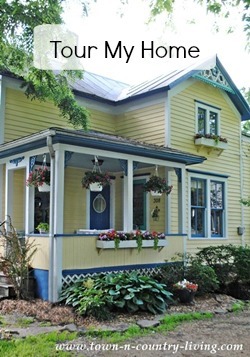 Now this is a cottage – unlike some of the 2500 sq ft homes that call themselves cottages. 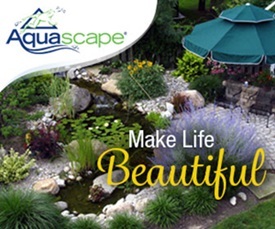 I especially love the deep-set windows and would love to have them in my home. They provide a place for “cozy” in each and every room. Thanks for posting this one.